Since September 1914 Cheshire Yeomanry had been stationed in Norfolk on defence duties. They had experienced coastal bombardment and Zeppelin bombing raids and completed much training. In November 1915 the Regiment received their orders to go abroad dismounted. All cavalry equipment had to be handed in and changed for infantry. November orders were cancelled and the Yeomanry continued to do dismounted training. Such infantry training included route marches, bayonet exercises, bomb throwing and rifle shooting. Finally, in February 1916 orders were again received that the Regiment were to go abroad and that they would sail on 3 March 1916. The last parade of the Regiment in Norfolk took place at 7:30pm on the evening of 2 March before marching to Lowestoft Station. The train finally left Lowestoft at 8:45pm bound for Devonport. It is at this time that the Cheshire Yeomanry War Diary commences. A War Diary is a daily record of operations, intelligence reports and other events, kept for each battalion by an appointed officer. It is not a personal diary. Specialist units, such as military hospitals, also kept war diaries. 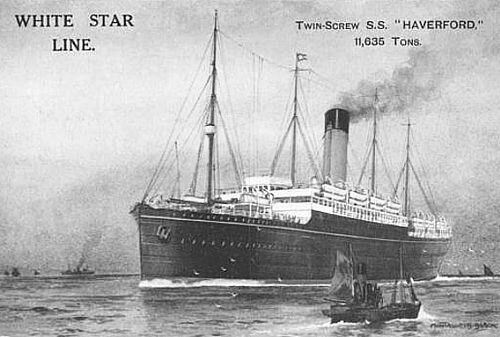 HMT Haverford was a 12,000 ton troop ship, originally a passenger cargo vessel, built in 1901. "Incredibly, the ship’s signal light flashed back in ordinary morse stating that she was H.M.T. Haverford from Devonport, proceeding to Alexandria with 1,200 passengers aboard. Those able to read morse knew definitely for the first time where they were going. So, no doubt, would every enemy agent watching from the North African coast to whom the signals would have been clearly visible in the excellent weather condition at the time." Cheshire Yeomanry, together with Shropshire Yeomanry and Denbighshire Yeomanry, formed the Welsh Border Mounted Brigade. The South Wales Mounted Brigade comprised Pembroke Yeomanry, Montgomery Yeomanry and Glamorganshire Yeomanry. A second ship, HMT Arcadian, would sail from Devonport on 4 March. The 2,500 troops on board included the whole of the South Wales Mounted Brigade and also personnel of the Welsh Border Mounted Brigade for whom there had been insufficient room on the Haverford; this included the Shropshire Yeomanry. 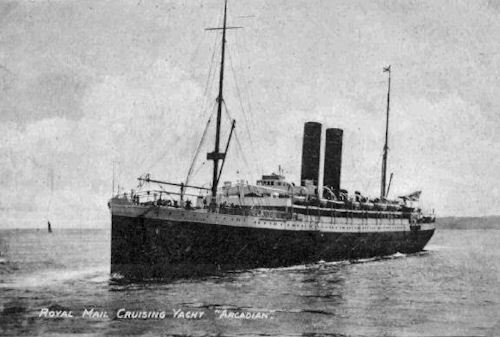 On 10 March the Arcadian overtook the Haverford, and both vessels arrived safely at Alexandria on 14 March 1916.